What is one to do with thoughts that are far too long for Twitter but not nearly long enough for a proper blog post? Why round them up and turn them into a twenty-seventh portmanteau post on matters of course! There is something finally and karmically wrong about watching The X-Files in full flight while Supernatural is still running almost at full steam. 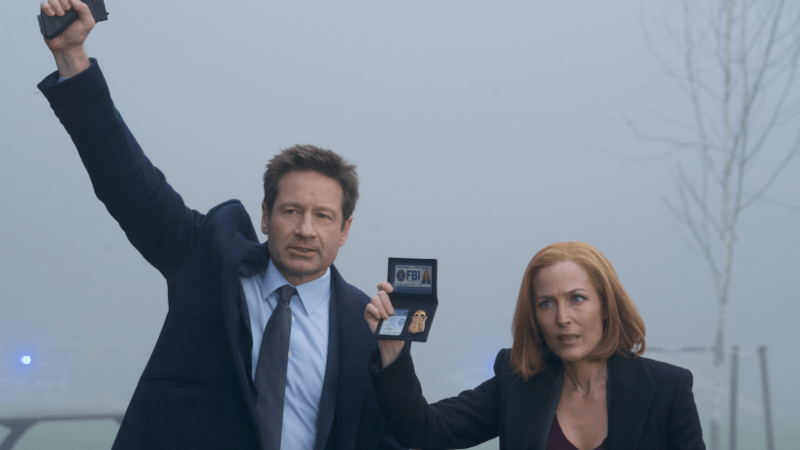 This second return of The X-Files, which we’re encouraged to just call season 11 and pretend it’s normal to have hiatuses between seasons of a decade, has been far better than 2016’s far shorter and less successful comeback. Some of this season’s mythology episodes have been damn good, while the monster of the week ones have frequently knocked it out of the ballpark. In particular ‘Familiar’, a disturbing tale of small-town hysteria with vigilante action going horribly sideways when due process is disregarded. But it’s not just a witch-hunt parable, there really are witches at work. And that’s when it felt like this was a direct challenge to Supernatural as mystical circles, ancient grimoires, and vicious mostly invisible hell-hounds started to appear. Was it a bit weird? Yes. The return in 2016 was a jolt as you realised how everything from Smallville to Supernatural to The Flash had shamelessly lifted their episode structure from The X-Files. So watching Supernatural be appropriated by The X-Files is like watching a father and son competing against each other at the Olympics. But maybe the influence has gone both ways. Season 13 of Supernatural gave Dean Winchester a number of godlike character moments. Here Mulder went by the name Bob to avoid having to explain Fox for the 1000th time in cafes, almost brought about the robocalypse by eschewing tipping robot chefs, and was shamelessly obsessive over old TV sci-fi VHS and Sasquatching. Perhaps it’s an example of what the Greeks called eris – good strife, or competition making both parties better. What is one to do with thoughts that are far too long for Twitter but not nearly long enough for a proper blog post? Why round them up and turn them into a thirteenth portmanteau post on television of course! Very Dangerous, Do Not Handle At All. Watching re-runs of The Avengers (in colour!) on ITV 4 over a few months before Christmas it was hard not to be struck by two things. It was better than most current TV shows, and it made the soapbox posturing of the CW’s Berlantiverse look utterly inane. The ludicrous blackmail episode, ‘You Have Just Been Murdered’, is so hilarious, as the blackmailers repeatedly mock-murder their wealthy victims and leave a calling card just to prove how easy it would be to do it for real, so pay up, was one of the best episodes I saw on TV in 2017. The sustained ninja attacks on Steed’s friend; a car almost runs him over, he is attacked with a fake katanna, and finally shot with an arrow that imprints ‘You Have Just Been Murdered… Again!” on his shirt; floored me. And there were many other episodes almost at the same level in Diana Rigg’s 25 colour episodes, and some equally wonderful in the subsequent 32 episodes with Linda Thorson. The Rigg episodes were very telling in their writing of Renaissance woman Mrs Peel: painter, sculptor, chemist, journalist, mathematician published on the subject probability as applied to Bridge, and amateur secret agent. Nobody makes any deal out of Steed’s partner being a woman, apart from a doddery Colonel back from the tropics in ‘The Hidden Tiger’; “Highly unusual to have a woman on a hunt, Steed” “Highly unusual woman, Colonel”. And Mrs Peel, expert in judo, wins most of the fights she gets into, hence her amusement in ‘The Correct Way To Kill’ when she finds two photos with handwritten annotations in the local KGB HQ. Steed is described as ‘Dangerous, Handle With Care’. She then discovers that ‘Very Dangerous, Do Not Handle At All’ refers to her. This is a fictional universe where many of the villains have women as their most ruthless lieutenants, and any daffy woman is very possibly a ruthless lieutenant hiding in plain sight by playing up to bimbo stereotypes. In ‘The Living Dead’ the village hospital is run by a woman doctor, and nobody mentions her gender; she’s just the doctor who runs the village hospital. Steed and Mrs Peel almost co-opt her as a third agent in their investigations, but Mrs Peel doesn’t make a big deal of it. It would be literally impossible for a woman to run a small-town hospital in a Berlanti show without a plethora of dialogue about it, and if she were to aid Supergirl we would get girl power dialogue about the sisterhood working together in a man’s world. It is disconcerting when a 1967 show assumes equality, entertains, and provides an indomitable heroine with a delightfully light touch, while 2017 shows talk endlessly, needlessly about equality, as if trying to convince themselves. The Berlantiverse was once highly praised on this blog but as time has gone on it has become more and more obviously flawed. So let’s try and isolate the good, the bad, and the ugly. Tony Zhou amusingly gutted the MCU a while ago for its complete, deliberate absence of memorable music. Their copy of a copy of a copy elevator muzak approach seems to be a determined attempt to free cinema from the Wagnerian leitmotifs that composer Erich Wolfgang Korngold had in the 1930s made the convention for scoring the fates of characters and the progress of action. As a result of Marvel’s decision no matter how many Avengers assemble there will never be any music that can announce the arrival of a single one of them. What is lost by that? Well, look at what Blake Neely was able to pull off in the Supergirl/Flash/Arrow/Legends crossover extravaganza for the final fight against the alien Dominators. When Green Arrow is shooting the Dominator the jagged Arrow theme is heard, when he is thrown off the roof the music hangs in the air with him with a sustained note on strings, only for a roar of brass to announce the arrival of Supergirl to catch him from plummeting to his death. That is what leitmotifs are for. Why Marvel would want to pass on that sort of emotional punch is a mystery. There are elements; such as 24’s lack of humour; that you forgive so long as the show is good. But once you stop enjoying a show you remember those flaws, and notice new ones. I never made 10 episodes of Arrow, but I was surprised the same creators brought forth the fun that was The Flash. I also watched Legends of Tomorrow and Supergirl until the recent crossover. Then I ditched all three shows. My problems with Arrow I’ve outlined. The Flash became idiotically repetitive; “My name is Barry Allen, and I am the fastest man alive!” – apart from Reverse Flash, and Zoom, and Savitar…; emotionally manipulative; Barry watches his mother die again, watches his father die, gets them back sort of only to give them up, gives up Iris, how much damn angst does one character need; and eventually unwatchable despite maintaining a comic edge. Supergirl from the get-go had problems, which started to converge with the problems of Legends. Legends degenerated from a fun show in which time-travellers screwed up their mission, to a less fun show in which they took George Lucas in Love as their ur-text and applied it to Lucas, Tolkien, and Arthurian legend, to the E.T. episode where they re-did E.T. in 40 minutes with their characters, like House or CSI: NY saw writers take off a movie they saw, just with less self-awareness. Supergirl’s characters kept getting on soapboxes; Jimmy Olsen on black men not being allowed show anger, Cat Grant on being a woman leader, Kara on being a woman and a superhero; rather than having comic-book adventures. Moving network for season 2 Berlanti decided that Alex should be gay now, an abrupt character reboot handled with the grace of an Austin Powers skit. But then he doubled down by beginning season 3 with Alex and Maggie engaged. Wow, that was quick! They break up because they never had a discussion about having children before getting engaged. 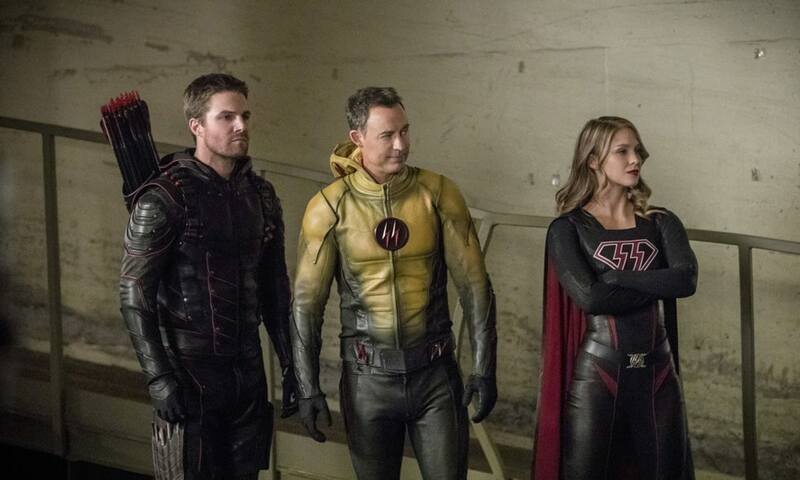 Berlanti’s political imperatives were trumping his aesthetic imperatives with a vengeance. Legends’s characters arrive in the 1950s with an injunction not to attract attention; so they set up Ray and Kendra as a married couple, with Sara as a nurse. Berlanti castigates Jim Crow racism and has Sara liberate a repressed nurse. This makes nonsense of the injunction not to attract attention. The way to do that would have been to have Ray and Sara play house, with Kendra as a nurse. But internal logic was starting to be damned if it got in the political way. Can you tell who Don Siegel voted for in 1956 and 1972 from watching Invasion of the Body Snatchers and Dirty Harry? Adlai Stevenson? Maybe? Richard Nixon? Maybe?? It’s not easy. Can you tell who Greg Berlanti voted for in 2016? … It seems Berlanti was traumatised by the failure of America to be with her. Now, art and politics don’t need a Jeffersonian wall of separation, but there ought be some artistic guile cast over political intent, like Arthur Miller addressing Senator McCarthy at three centuries’ remove. Berlanti has a beef with Trump. He could silently showcase heroic, adorable, and honourable minority characters like The Blacklist. [Navabi, Aram, Dembe] He does not. Instead, to stick it to Trump, he introduces to Legends the rather insufferable Zari, and reminds us repeatedly that she’s a Muslim American. He probably needs to remind us because she doesn’t wear a hijab, or have a prayer mat, nor use it 5 times a day, worry about keeping halal, or attending a mosque. Given previous complaints about American artists’ inability to take faith seriously this shouldn’t surprise, but ironically it makes Zari the kind of Muslim Trump might endorse – invisible. Berlanti could espouse meritocratic ideals like Bernie Sanders’ support for basic income. He does not. Instead Berlanti has gone down the rabbit-hole with Hillary. Her failure was due to misogyny, homophobia, and xenophobia. Ignore that she was as historically awful a candidate as if the Republicans had nominated Robert A Taft in 1948, and that she called ¼ of the eligible voters “a basket of deplorables”. Pushing Hillary’s apologia is killing the Berlantiverse. It would be clumsy and obvious to try and push basic income. But it couldn’t be worse than the gender studies harangue when Helen of Troy appeared in Legends, or when The Flash had a stripper lecture her clients on her critique of the male gaze. That same episode a female supervillain was taken down by the female characters working together and Iris said “Hashtag Feminism”. This, along with insisting “We are The Flash”, is Iris’ new thing. The abandoning of all pretence of artistic guile over political intent in attacking Trump came in the recent crossover, with this interchange: “Make America White Again” “Which it never was” “Hashtag Melting Pot”. But the nadir was Nazi Arrow proudly announcing “We’ve created a meritocracy”. … … … One should not have to point out that Nazis did not believe in meritocracy, but in its exact opposite, aristocracy. It is self-evident. If you’re looking for the brightest and the best, you get Einstein, and then, if you’re a Nazi, mutter, damn, a Jew, and issue another call for the brightest and the best, but Aryans only please. Whereas if you’re not a Nazi you say, Welcome, Mr Einstein, I hear you are a very brilliant genius. Meritocracy advances people on the basis of ability. Aristocracy advances people on the basis of bloodlines, rather than their ability. Berlanti wasn’t being ironic, none of the superheroes protested about this calumny of meritocracy. That degradation of meritocracy, the one true guarantor of equality, shows Berlanti pursuing a political agenda that while thinking itself liberal is not. The Berlantiverse no longer entertains because so many artistic decisions are clearly suborned to a political agenda, and it troubles because that political agenda is clearly Hillary not Bernie. Meritocracy doesn’t see colour, gender, or religion. It sees ability. And it only sees ability. Attempt to attach secondary considerations to it and it is gone. You can’t grade a test on correct answers and ensuring a diversity quota. Burbank, CA was the location for Warner Bros. Pictures’ CinemaCon 2016, announcing developments in the studio’s wide-ranging slate. Chairman and CEO Kevin Tsujihara announced the headline confirmation that Ben Affleck—who will reprise his Batman in the upcoming Justice League movie—will direct, as well as star in, a new stand-alone Batman. Ben Affleck and Amy Adams kicked off the presentation with a bang, introducing a reel spotlighting the studio’s ambitious slate of DC films. The roster includes the new Justice League film, as well as stand-alone Wonder Woman, The Flash, Aquaman, and Cyborg features. Embattled Batman v Superman director Zack Snyder closed the reel with a greeting from the Justice League film set, surrounded by his stars. The DC preview also included a glimpse of the summer’s hotly anticipated super-villain team-up Suicide Squad before its writer/director David Ayer took the stage and introduced the main ensemble cast, led by Will Smith, Jared Leto, Margot Robbie, and Joel Kinnaman. The extended version of the Suicide Squad trailer was met with loud applause and the buzz surrounding the film was palpable. Host Mario Lopez went through the rest of the summer line-up, with advance footage from the wide range of titles, introduced by stars and filmmakers including Russell Crowe for Shane Black’s action comedy The Nice Guys, Emilia Clarke for the drama Me Before You, director James Wan and stars Vera Farmiga and Patrick Wilson for the supernatural thriller The Conjuring 2, Teresa Palmer and David F. Sandberg for the horror thriller Lights Out, Kevin Hart and Rawson Marshall Thurber for the action comedy Central Intelligence, Alexander Skarsgård, Margot Robbie, Samuel L. Jackson, and Christoph Waltz for the adventure The Legend of Tarzan, and director Todd Phillips and his Hangover star Bradley Cooper reuniting for the comedic drama War Dogs based on real events. WB then unveiled films on the drawing board from the Warner Animation Group. Chris Miller, Phil Lord, and Nicholas Stoller introduced titles in the pipeline, anchored by The LEGO®Batman Movie, The LEGO® Movie 2, and Ninjago. Stoller, who co-directed the next film on the slate, Storks, was joined by fellow director Doug Sweetland and voice talents Andy Samberg and Katie Crown to present new footage from the family adventure. The animation portion wrapped with never-before-seen footage from The LEGO® Batman Movie, presented by producers Lord and Miller, and the voice of ‘Batman’ himself, Will Arnett. The presentation closed with a look Warner Bros. closed the presentation with a look at Fantastic Beasts and Where to Find Them, written by Harry Potter creator J.K. Rowling. Four of the film’s stars; Eddie Redmayne, Alison Sudol, Dan Fogler and Colin Farrell; introduced the new teaser trailer and a look behind the scenes of the film. 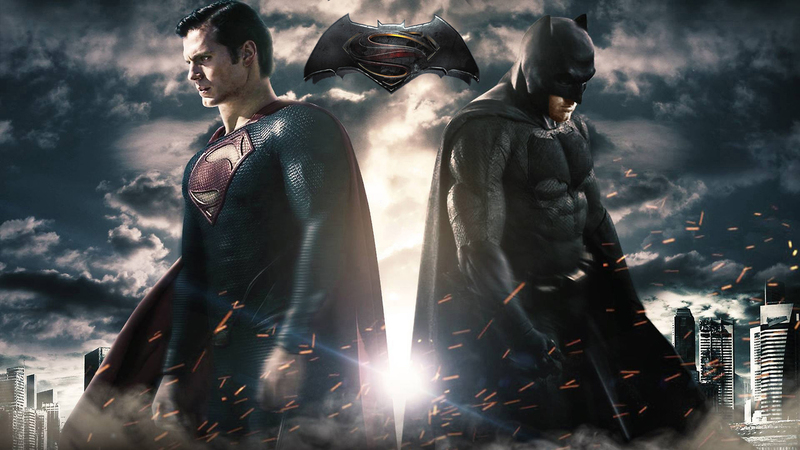 It is a keen irony that the WB is currently taking flak for launching the Cinematic DC Universe with the humourless dourness of Batman v Superman, while the TV DC Universe is universally beloved for its lightness of touch, almost as if two prime directives are colliding. The need to maintain the WB’s vaunted position as a home for cinematic artists that respects directorial vision – whether that be Kubrick, Nolan, or Affleck – becomes self-defeating when the artist in question is Zack Snyder, and when an entirely less sombre vision, exemplified by writer/producer Greg Berlanti’s roster of Arrow, The Flash, Legends of Tomorrow, and Supergirl, is available free to air weeknights. I’ve just read Green Lantern: Secret Origin by Geoff Johns, so it’s an opportune time to weigh in with some thoughts on how Martin Campbell handled the same story cinematically. Back in January I dubbed Green Lantern the biggest gamble of the year because the power ring which allows him to physically project anything he can imagine, but can’t handle the colour yellow because of the evil Parallax, makes him the most far-out of the major DC Comics characters. I predicted that if the movie worked it would open up the whole DC Universe for cinematic imaginings. If it failed then I foretold that Nolan’s Batman swansong and Snyder’s Superman: The Man of Steel would be the end of DC on film for another decade. Sadly the popular and critical reception appears to have consigned Green Lantern to the dustbin of abject failure, and Wonder Woman and The Flash ride with it to development hell. For my money it’s not a disaster and it’s not a triumph, it’s merely perfectly acceptable with some nice touches. But therein lies the problem, being perfectly acceptable is not acceptable for the summer blockbuster market, and only having some nice touches doesn’t cut it in the writing stakes even though it’s a logical consequence of the straitjacket of the origin myth within which all new superhero franchises are constrained. I tweeted the other week that I couldn’t actually remember what the summer blockbusters had been, perhaps because of the ubiquity of origin myths – which are all effectively the same damn story with a different coloured cape in the lead role. I’ve never heard anyone complain that The Maltese Falcon wasn’t Sam Spade’s first case and we were never told how he became a PI, but superhero movies appear to bear out Jacob Lambert’s contention that the legacy of Lucas’ convincing special effects was to destroy the audience’s ability to suspend its disbelief without tutorials. Green Lantern dutifully trots thru the obligatory origin myth that almost all of us could write from memory at this point in a breezily efficient manner, without ever being particularly brilliant on the large scale. What I liked were the little touches from the writers kicking against this enforced rail. I adored the fact that Hal Jordan simply said “Hey Hector” as he walked past the villain at a party, thus saving us about 20 minutes of narrative hide and seek, as they’ve known each other for years. In a similar vein the writers cheekily revealed that Hector Hammond’s overbearing father is the Senator referenced by other characters, and that’s the reason Hector was given the job of examining Abin Sur’s crashed ship – a plum assignment that ironically backfires against the father trying to do something nice for once for his disappointment of a son. The endless angst produced in films by the strain of maintaining secret identities, as well as the stark nonsense of doing so thru the use of terrible disguises, was almost immediately dispensed with by Carol Ferris recognising Hal, despite his protestations, and loudly proclaiming, “Hal! I’ve known you all my life. I’ve seen you naked. You think I’m not going to recognise you because I can’t see your cheekbones?” Hal also got wonderfully upbraided for his carelessness in charging his power ring, “You broke it already? 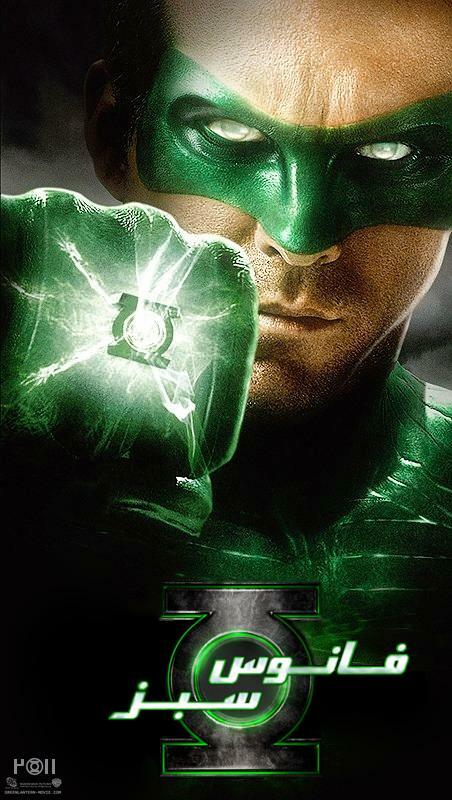 !” Nicest of all was that he gleefully showed off the instantaneous costume-change to that same friend, “Cool, right?”, and in a wonderful move was depicted cheating at the start of the movie as a fighter pilot in a combat simulation, and cheating again at the end of the movie as a Green Lantern in the climactic fight against Parallax. Parallax is used well as a villain who becomes stronger the more afraid you are of him, and the revelation of his origin is a nice stroke after the discussions of the power of will versus that of fear. Not to push things too far but there’s some mileage to be had in the idea that according to this movie the native hue of resolution is green, and it’s sicklied o’er by the pale cast of thought which is yellow. In slightly less strained interpretations there is some very Nietzschean undertones to the discussions about Will and Fear surrounding the use of the power rings but sadly they’re never fully developed. The really cinematic joy of Green Lantern should be that with a power based on imagination, it’s fun to see what Hal thinks of to save the day, but there’s not enough of that. There’s a certain amount of similarity between the movie and Johns’ origins comic, but the differences are vast. Hammond is a confident sleazy scientist in the comic, Carol Ferris and Hal Jordan have never been an item, Parallax is not involved at all, though there are hints of a renegade Guardian, and Sinestro plays a much more important part and is more supportive of Hal after initial misgivings. Johns hides within the origin myth a set-up for a future storyline in his saga, a touch that refreshes a familiar tale that the movie cannot adopt. The choices of Hammond as weakling controlled by villain Parallax, Hal and Carol as re-united lovers, and Sinestro as minor figure are all interesting and valid, but the film never achieves the feeling of fun of the comic which comes from believing you’re confidently re-telling a classic tale with purpose. 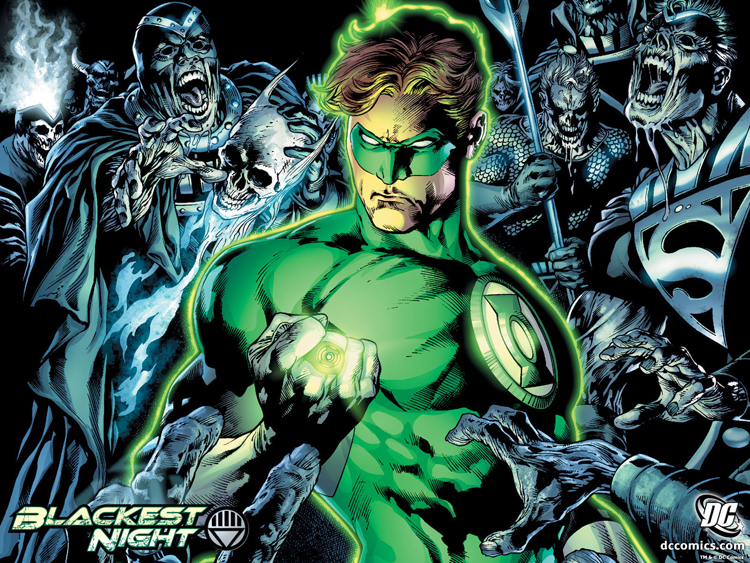 The post-credits scene seemed to imply that we could expect the sequel to be a spin on Johns’ Green Lantern: The Sinestro Corp Wars storyline. Sadly, that’s now unlikely to happen, so perhaps we should stop being slightly ridiculous about all this and just read the great, varied and unpredictable comics to experience the DC universe rather than watching decent, identikit predictable films apparently aimed at people who have no ability to suspend their disbelief and just go with it. If you’ve read the previous piece then you’ll be aware that I was quite often watching the adventures of the young(ish) Clark Kent for laughs. So, why did I stick with Smallville? Season 1 was fun. It wasn’t a great TV show, but it was consistently entertaining, promised great future developments (not least when Lex’s future was glimpsed and it showed a white-suited black-gloved President causing a nuclear apocalypse), and the central conceit of a good Lex and a young Superman being friends was irresistible. You also had a nice thwarted but plausible relationship with Lana, complemented by Chloe’s loveable cub-reporter in the making digging around for meteor freaks for her Wall of Weird oblivious to the fact that her best friend was the freakiest. Season 2 was where the wheels fell off the wagon. I stopped watching for a while, as the removal of the obstacle didn’t lead to Clark and Lana becoming a couple, but instead to Millar & Gough ratcheting up the badly-written teen angst to unbearable levels. It also began a trend of dotting poorly explained ‘important arc plot points’ randomly at the end of episodes, and then forgetting about them for weeks, something which over the years eventually made the show both incomprehensible and unintentionally hilarious. Still the idea that Lex was prophesied to go bad by Indian Caves intrigued… Season 3 was loudly rumoured to have Ian Somerhalder starring as Batman, and Drew Z Greenberg writing episodes inspired by The Dead Zone. Only one of those happened though. Somerhalder was terrific as a haunted bad boy who disappointingly turned out to be Lionel’s stooge, but there was a nice exit for him in a Frequency inspired episode, and Chloe became more complex as she dallied with Lionel’s patronage. The best moments of this season though couldn’t rescue the overall sense of portentous drift, exemplified by the awful finale which killed off half the cast to the strains of opera. I dragged myself back for season 4 because Jensen Ackles had joined the cast, and was surprised by a belter of an opener which kick-started an excellent fourth season that I regard as the highpoint of the series. A badly needed sense of fun was restored along with a completely new skill at touching moments. Millar and Gough finally lightened up, letting Clark fly in the season premiere with accompanying dialogue of “What is that? Is that a bird?” “Maybe it’s a plane”, while that episode for the first time in years actually felt like this show was derived from Superman comics, rather than The Flash; which is what the stubbornly non-flying Clark had made it veer towards. Ackles’ villain enlivened an actually well-developed arc chasing crystals that would create the Fortress of Solitude. Erica Durance unexpectedly arrived as Chloe’s cousin Lois Lane (and made Kristin Kreuk’s Lana Lang look wish-washy) and developed a wonderful spiky relationship with Clark. Chloe finally got to know Clark’s secret and, in a beautiful touch, had to teach an amnesiac Clark how to use his powers – in the knowledge that she’d have to go back to pretending she didn’t know about them soon enough. Season 5 started off with the construction of the Fortress of Solitude and Clark and Chloe becoming a super-team: she detects crime, he fights it. The T-1000 reinterpretation of the Kryptonian artificial intelligence Braniac was rather great, and the Buffy overtones of James Marsters appearing for the writing of his colleague Steven S DeKnight were complemented by the ‘Clark goes to College and has a hard time of it’ feel that echoed season 4 of Buffy. There was a priceless conversation in which Clark and Chloe attempted to discuss the ‘Man of Steel, Woman of Tissue’ problem, but the quickly reversed proposal to Lana which led to Jonathan Kent’s death was a disastrous mis-step for the show that brought proceedings down to the level of season 2’s angst in its insistence on burdening Clark with farcical levels of guilt; because apparently that’s what real drama is all about. The decision to move Lana towards Lex romantically was nicely done, but the feeling that Clark should be further down the road towards being Superman was starting to nag. The finale which saw Lex taken over by Zod’s spirit and Clark trapped in the Phantom Zone burned down the house in style. Season 6 saw Clark roar back from the Phantom Zone but in doing so unleash a horde of loose phantoms, the rounding up of which became his season arc mission. It was a step down from the previous two arcs but this season was characterised by let-downs as Lex possessed by Zod was dealt with far too easily, Green Arrow’s arrival promised a Batman like level of conflict that never really arrived, and Lana and Lex’s marriage bafflingly retreated from emotionally destroying Clark. However a finale in which Bizarro arrived and all the female leads died was a stunning episode. Season 7 saw the arrival of Supergirl, who was never really given a compelling reason to be on the show, while Bizzarro was dispatched too easily only to gleefully reappear undetected, but still arguably underused. The revelation that Chloe had become a meteor freak thru continued exposure was brilliant, not least her struggle to keep the secret from her boyfriend Jimmy. Lex finally killed Lionel, and also bafflingly his brother the Daily Planet editor, to become a supervillain rather than previous season’s St Lex being lied to by Clark. However Clark still not being Superman rather undermined their apocalyptic clash. Season 8 saw Lex replaced by his ret-conned protégé Tess Mercer while Sam Witwer starred as Clark’s ret-conned Kryptonian stowaway Doomsday. Chloe’s descent into darkness as she was taken over by Braniac was delicious, but her half-romance with Witwer’s heroic EMT was always unintentionally funny as she and Clark defended him against Jimmy’s charge that this man was obviously a serial killer, despite continual evidence supporting Jimmy. This left an extremely bitter aftertaste when Jimmy was unnecessarily killed in the finale to guilt-trip Chloe for trying to separate man and beast to save the man. Oh, then Clark abandoned her. Smallville ran for 10 seasons. Along the way there were heartbreaking episodes, such as Chloe’s reunion with her stricken mother who for a brief while was lucid again, adorable episodes, such as the first appearance of Krypto the Superdog, and brilliantly fun episodes, like the formation of the Justice League. But all too often episodes were entirely dependent on having a cute high concept or a good writer simply amusing themselves. So we got Steven S DeKnight writing Saw with Lionel Luthor, while someone else Fassbendered in rewriting The Game with Oliver Queen as Michael Douglas and Chloe as Sean Penn. What could be great on a micro level could never really break out of the shackles that kept the show from being great on a macro level. Hence the crippling levels of angst, endless body-swap episodes, Clark affected by shade of Kryptonite episodes, and parallel universe episodes. Watching the finale you realised that Erica Durance and Kristin Kreuk each starred in 7 seasons of Smallville but that Durance made Kreuk’s performance look anaemic from the moment she arrived, and the crushing weight of the mythology made you impatient for Lois and Clark from that point on. The show left Smallville itself in the rear-view mirror in season 5 but persisted in refusing to let Clark fly or don the cape for so long that it became increasingly infuriating/embarrasing. The handling of the major villains always disappointed – a synecdoche for the whole show. The implicit hook of the souring of Clark and Lex’s friendship was never paid off satisfactorily. 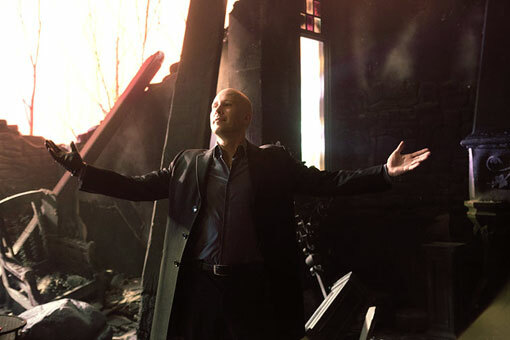 Lex was in 7 seasons of Smallville, but at no point did you feel there was a clear endpoint planned where he and Clark would rise to their respective destinies. Its own continuously imperilled success condemned Smallville to continually deferred gratification. Smallville never quite achieved its promise, but it handsomely saw off the challenge of Superman Returns, and kept live-action Superman viable despite all the nay-saying about the redundancy of the character in a Dark Knight world, and that’s not to be sneezed at. I just hope that Allison Mack and Erica Durance manage to walk into better written TV roles.